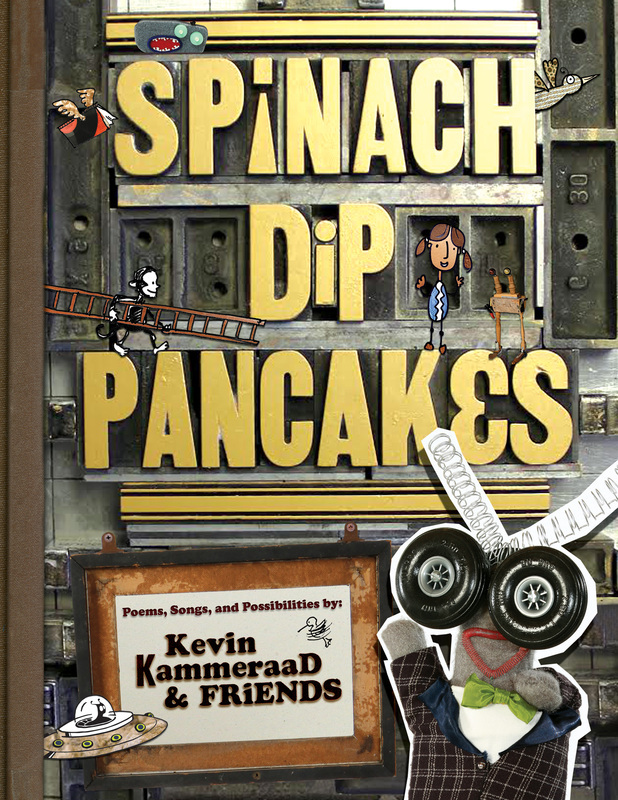 Spinach Dip Pancakes is a book of whimsical wordplay, playful poetry, and mixed-media art. It's a diverse collection of inventiveness and collaboration that inspires readers to create, think, and wonder. Publisher: Cooperfly Creative Arts, Inc.
"The poems are funny and original and the art eclectic, weird, wise and wonderful." "Kammeraad mixes photographic collages and cartoon images with poems, comics, and stories in this visually and verbally eccentric collection...It’s a Dada-esque mix of silliness, wordplay, and outright nonsense." ​"From cover to cover, the young reader's imagination is captured, ideas abound, and creativity can't help but be sparked. Spinach Dip Pancakes is a quirky, simple, and diverse collection of thoughts enveloped in art begs to be read again and again, uncovering new ideas upon each return. An impressively original collection of original poems, lively songs and engaging possibilities, Spinach Dip Pancakes is very highly recommended for family, elementary school, and community library collections for young readers." "Thanks for making critical thinking so fun!"